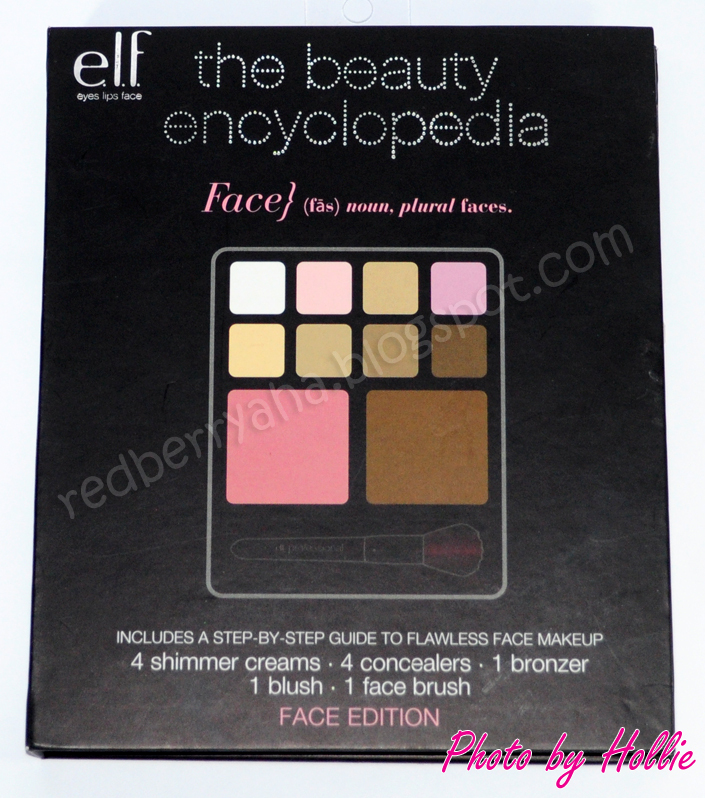 While I was checking the ELF website, I found out that the Beauty Encyclopedia line is no longer available. 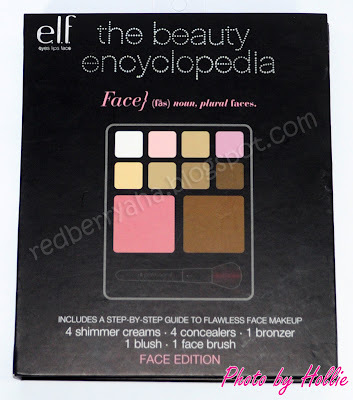 But I saw that this has been renamed to ELF Essential Beauty School Beauty Book - Face Manual. 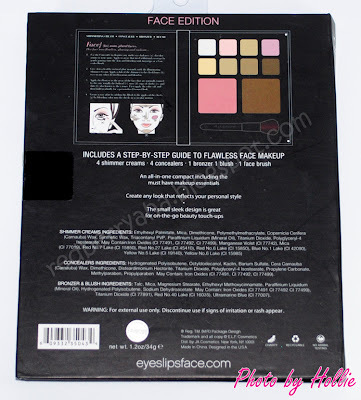 So everything that's inside the Face Manual is pretty much the same as the Beauty Encyclopedia Face Edition. Want a flawless face? 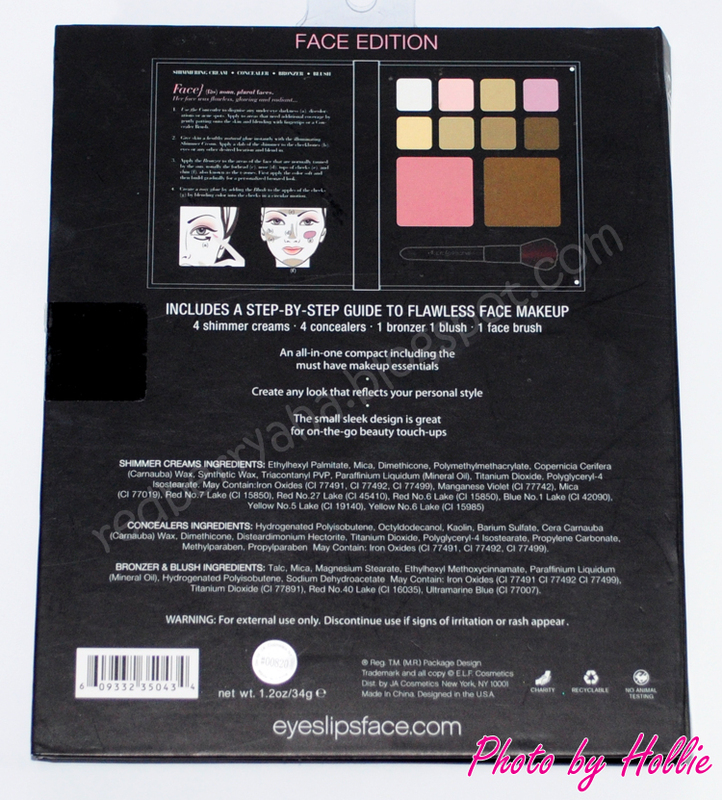 Then check out our Beauty Book Face Manual! This popular, high-quality yet affordable face makeup set allows you to achieve everyday professional results while creating the look that best reflects your personal style. Our Beauty Books include a step-by-step guide to flawless face makeup as well as a flip out page for recording your looks. You’ll love this all-in-one compact with must-have face makeup essentials. * inexpensive, you get all these for only five bucks, it's such a steal! * the face shimmers, are perfect as highlighters. They're really great especially if I apply them in the cheek bone area before I put on my powder blush. It really gives nice glow. * the shades of the concealers are perfect. 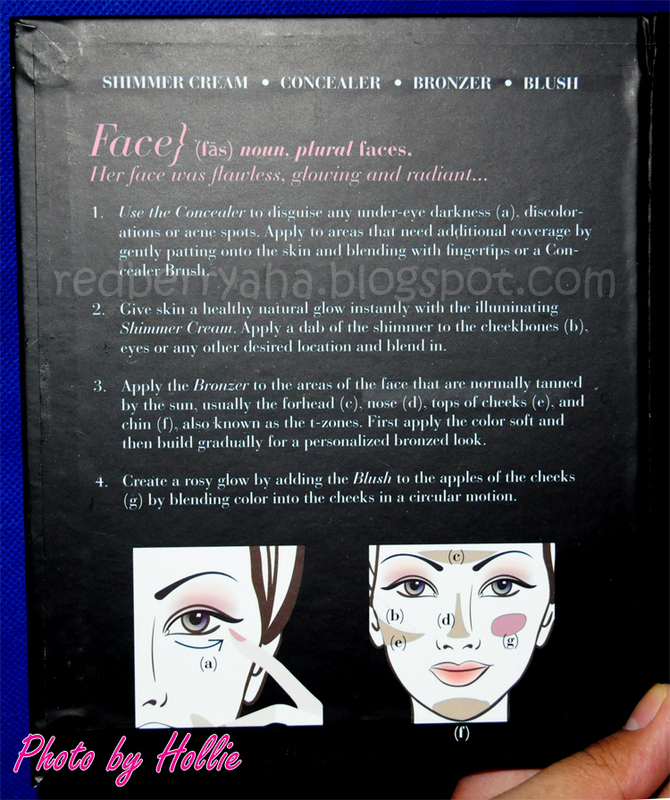 * the blusher and bronzer are pigmented. 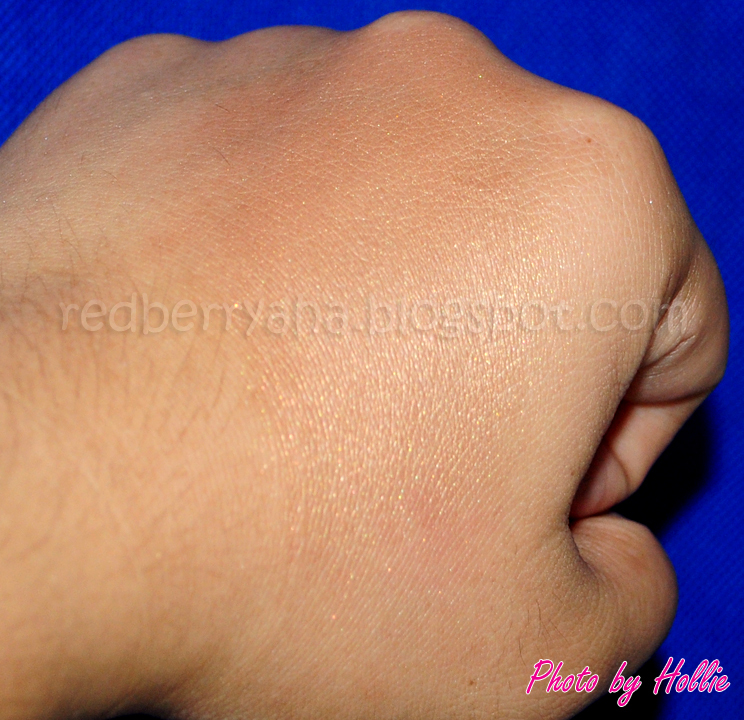 * I find the concealers too sheer and it only has medium coverage. 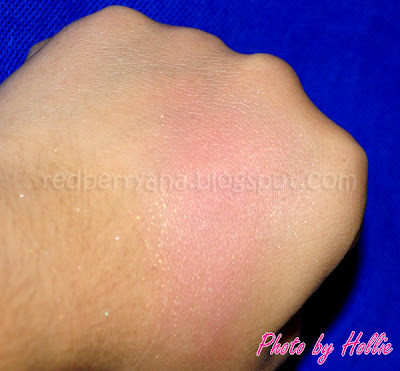 * the golden glitters of the pink blusher are not finely milled. * I have to be careful in dipping my brush on the blush and bronzer as they tend to get powdery. 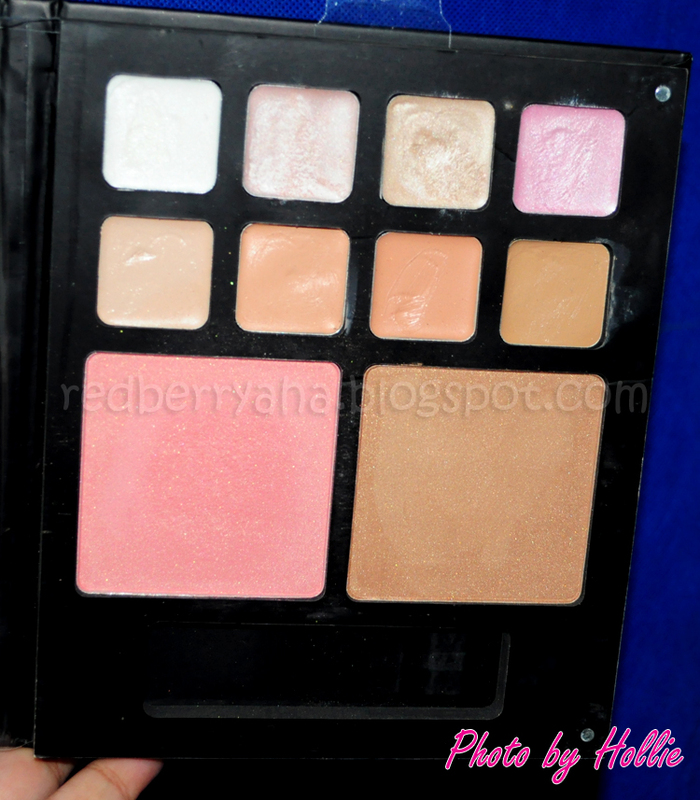 I really do love the face shimmers or highlighters that came with this palette. Would I recommend this? I'd say yes, because I think this would be perfect for makeup newbies. Although, it's not that amazing, I think it's a good palette to have around. Thats the one you got from Diane right? I don't think I can make a decent product review for makeup. lol. i'm still in the learning process. I love mine (the beauty encyclopedia ~ EYE)! I bring it with me all the time and I got a friend hooked on it as well. I haven't seen it any elf counters though.. 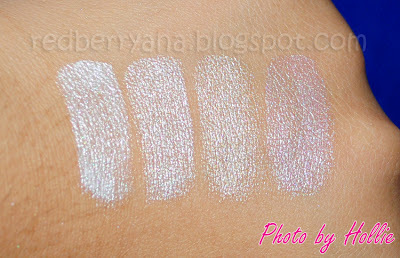 So pretty :) I love these highlighters! 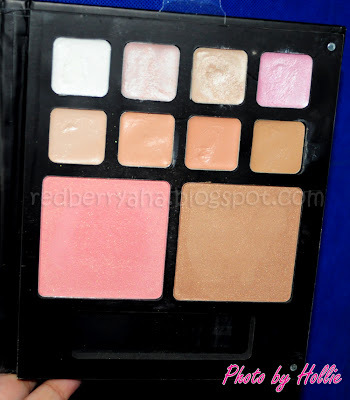 looks nice, I might have to try it just because of those face shimmers! i'll start with their mineral or studio line then i'll go on from there. Great review sis.... meronf kasamang matte sa eyeshadow nito diba? It is such a steal! I need to give some love to mine. I haven't used it in forever!